The first book to unearth the beginnings of British Pop and its relationship to Design. 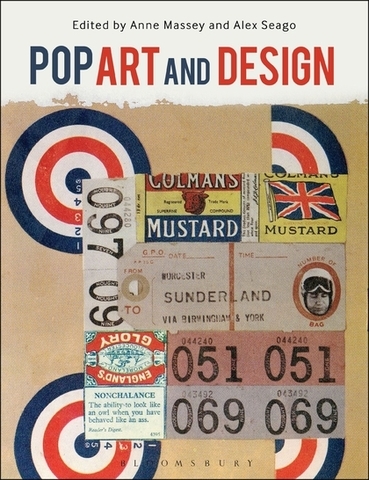 This book offers the first in-depth analysis of the relationship between art and design, which led to the creation of 'pop'. Challenging accepted boundaries and definitions, the authors seek out various commonalities and points of connection between these two exciting areas. Confronting the all-pervasive 'high art / low culture' divide, Pop Art and Design brings a fresh understanding of visual culture during the vibrant 1950s and 60s. This was an era when commercial art became graphic design, illustration was superseded by photography and high fashion became street fashion, all against the backdrop of a rapidly-evolving economic and political landscape, a glamorous youth scene and an effervescent popular culture. The book's central argument is that pop art relied on and drew inspiration from pop design, and vice versa. Massey and Seago assert that this relationship was articulated through the artwork, design, publications and exhibitions of a network of key practitioners. Pop Art and Design provides a case study in the broader inter-relationship between art and design, and constitutes the first interdisciplinary publication on the subject.